Some of you that lived in Boise during the 1980s and ’90s might remember buying delicious pastries and breads at Cristina’s Bakery and Coffee Bar. It was downtown in that small white building on the corner of 5th and Main. Besides the glass cases of amazing cakes and desserts, tucked in the back of the bakery was another gastronomic delight: the “Atomic Taco.” In my humble opinion they served up the best “Pollo Asado” tacos ever tasted. Imagine delicious juicy marinated chicken tucked inside a warm corn tortilla, topped with jack cheese, cabbage, and limes. 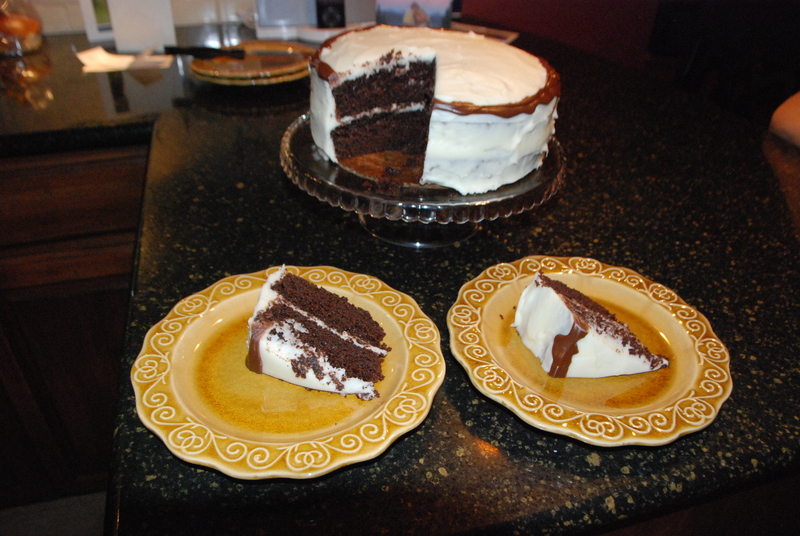 For years, it had became a tradition for any sort of special occasion to order in advance one of Cristina’s delightfully moist Ghirardelli chocolate layer cakes with luscious cream cheese frosting. One day, to my horror, I discovered the bakery was closed for good. I didn’t even see it coming. No more tacos and – more importantly – no more chocolate cake! How could Cristina addict us to her delights and cut us off just like that! For weeks, I went through chocolate cake and taco withdrawal. 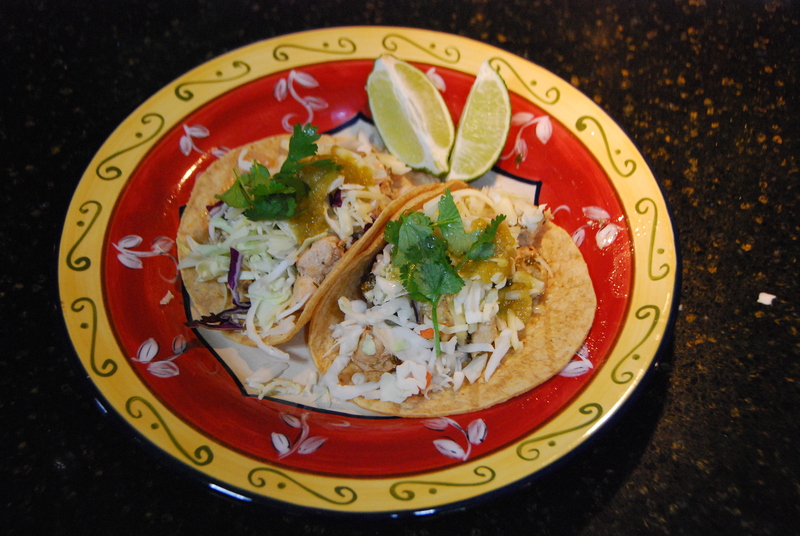 Eventually, I was saved when I came across the actual recipe for Cristina’s Pollo Asado tacos in a cookbook of donated recipes from Boise’s finest restaurants published in 1996. The first time I made them from the recipe, it was like eating something straight from Cristina’s own kitchen. Yummy! So far, I haven’t been so lucky to get my hands on the original cake recipe so I was forced to come up with my own version of Ghirardelli chocolate layer cake. My recipe is moist and delicious just like the real thing. My family and friends love it! 10 lb. chicken tenders, diced. Combine all ingredients in a glass container and pour over chicken. Marinate chicken for an hour or up to two days (will get more citrusy with age). Bake chicken in marinade at 400 degrees for about 45 mins or until done. 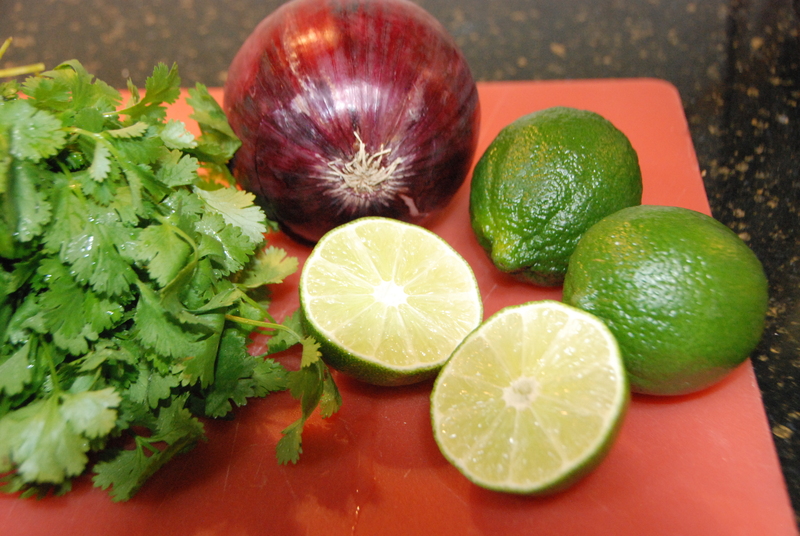 Serve in corn tortillas with shredded cabbage, jack cheese, lime and salsa.